If you’re heading to Paris for work or you’re just passing through, you might not have the time to enjoy this enticing city at your own pace. Fear not though – you’ll be surprised what you can squeeze in after a conference or before your next train. We’ve whittled it down to some of the best bits for those of you on a tight schedule. Sip coffee in the Ten Belles Cafe. Credit: Ten Belles Cafe. 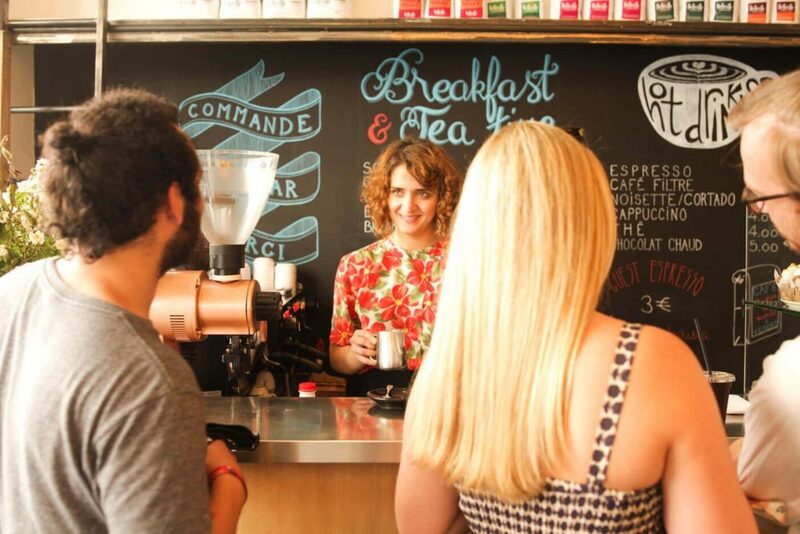 Grab a spot of lunch and an aromatic Parisian brew at this laid-back café in the trendy mecca Bellville. Red bags of beans line the walls in place of pictures or décor and the house blend changes depending on the coffee season, which tells you just how serious they are about their java here (and it really is excellent). Ten Belles’ tucked away mezzanine level is the perfect spot to people watch and savour a sweet, buttery pastry or sharp berry tart. If you’d prefer some fresh air, claim a spot outside amid the small, charmingly untamed forest of plants and shrubs, a stone’s throw from the banks of Canal Saint-Martin. Dart through the 120 water jets at Andre Citroen park. Credit: Getty Images/Hemis.fr RM. Parc André Citroën takes a cleaner, more minimalist look at the traditional French formal garden, its cascading fountains and neatly trimmed hedges arranged with meticulous geometry. A long, diagonal path cuts across the space, through expansive lawns dotted with languid sunbathers in the summer months. It’s a good spot to take in the city skyline, and adventurous types will jump at the chance to get an aerial view. In good weather, take flight on the tethered hot air balloon – you’ll be able to appreciate the park, and Paris, in all their glory. 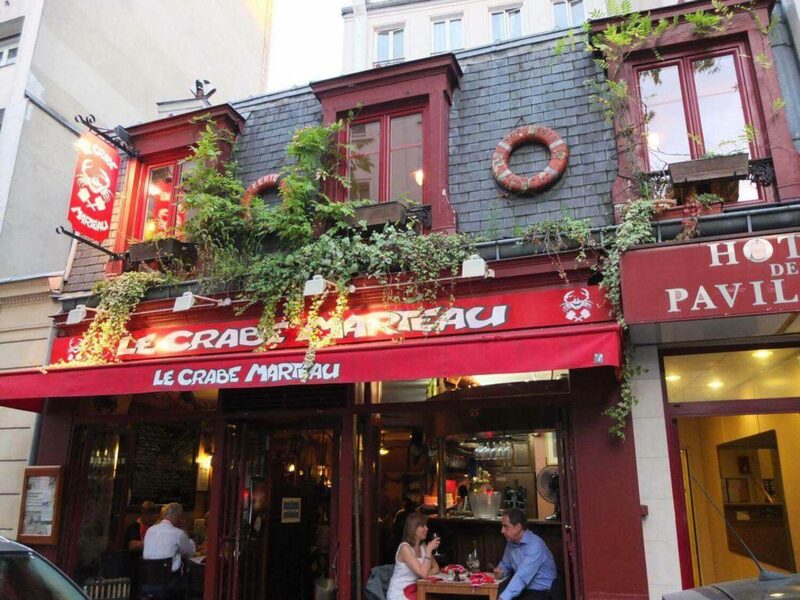 Try the catch of the day at Le Crabe Marteau. Credit: Le Crabe Marteau. If you like your seafood extra fresh, try Le Crabe Marteau (or The Crab Hammer). Crab, of course, is their speciality, and each catch is served with soft organic potatoes and a variety of delicious sauces. Your food arrives on a rustic wooden board complete with a hammer to take to your crab (definitely put on the bib provided, or your clothes may face the consequences). This makes for an unusual and sociable dining experience, especially if you have colleagues in tow. Should you have time afterwards for some quick sightseeing, this cosy, laid-back spot isn’t far from the Arc de Triomphe. 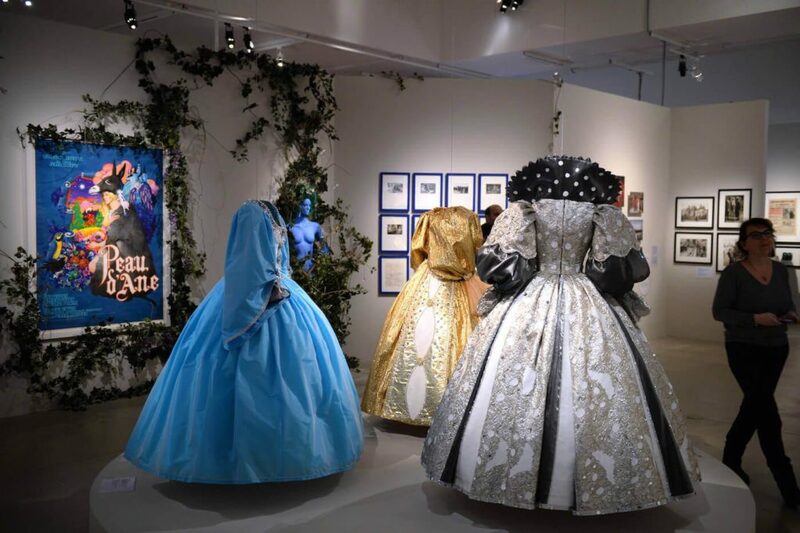 An exhibition dedicated to French movie director Jacques Demy at the Cinematheque Francaise in Paris. Credit: AFP/​Getty Images. France is famous for its classic cinema, so if you’ve got a spare few hours in the afternoon or evening, head over to Cinémathèque française for all things film. A combination of museum and movie theatre, in here you’ll find some wondrous relics of the bygone ages of the silver screen, including original 17th-century optical boxes and magic lanterns. There’s an impressive collection of cult items too, including the robot from ​‘Metropolis’ and a selection of costumes worn by stars ranging from Greta Garbo to Elizabeth Taylor. Catch a daily screening if you want to see some of the exhibits in action. Lounge at one of Paris’ chicest rooftop bars. Photo by Studio Cui-Cui. 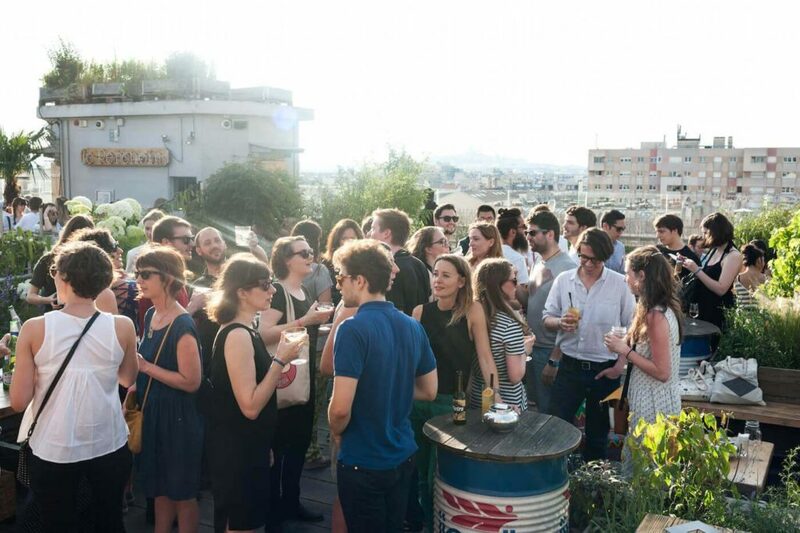 Located in the ever trendy 11th arrondissement, this chic rooftop bar in Paris is so understated that it doesn’t even have an entrance sign. Still, a night here constitutes a unique opportunity to both rub shoulders with a charmingly bohemian clientele and marvel at the Parisian skyline, Montmartre’s Sacré-Cœur Basilica included. The cocktail list too is outstanding and littered with inventive concoctions ranging from the zesty Lynchburg Lemonade to classic Mai Tais. Le Perchoir also sports a top-notch restaurant, cooking up seasonal dishes par excellence and a truly must-try côte de bœuf courtesy of resident chef Morgane Hurbourg. Peruse the shops along the Viaduc des Arts. Credit: Getty Images. 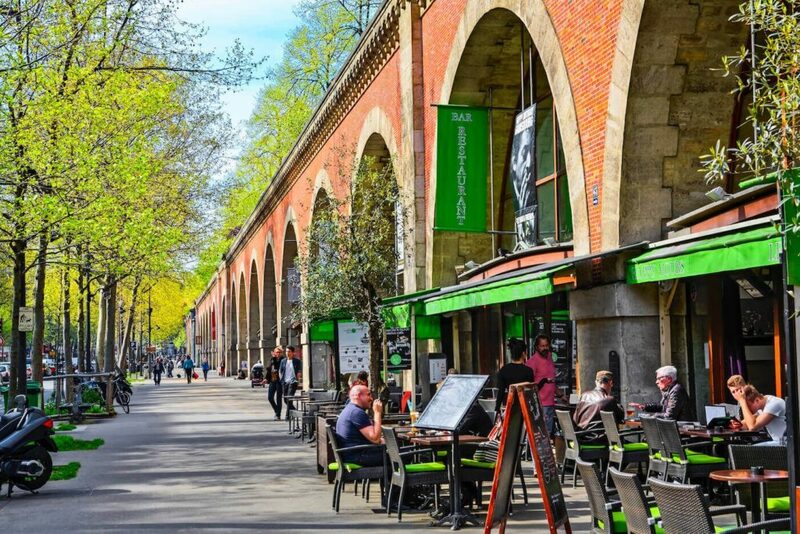 There’s nothing like a little retail therapy after a long day, and you’ll find some truly stand out, one-of-a-kind pieces at Viaduc des Arts. It’s home to 54 artists, designers and craftspeople, and there’s everything from contemporary furniture, lighting and paintings, to elegant jewellery and even robotic dolls. The artisan shops nestle under the arches of, you guessed it, an old viaduct. At night, lit up like toppled half-moons, they look particularly striking, the perfect backdrop to the distinctive wares within. The railway line on top has been re-purposed as a green pedestrian walkway and was the inspiration for New York’s High Line. It’s well worth a wander, though you might not cover the 3-mile distance. If you’d prefer to relax, pause for a coffee on the heated terrace of the Viaduc café.